Elizabeth stitch is a beautiful project that Design-Peak crew just discovered for our beloved readers. The project is done using 6 mm hook. 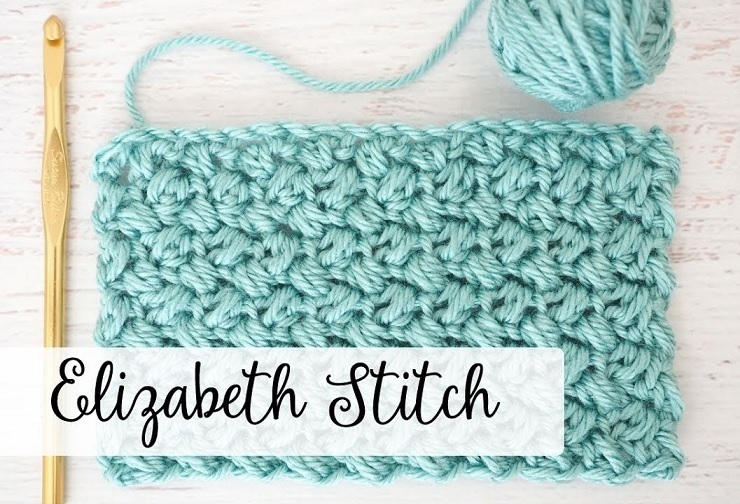 All level crocheters are more than welcome to try out this stitch, and frankly we are convinced that by following the very easy and on point in a video instruction – all of you are going to succeed and learn how to crochet an Elizabeth stitch. There are various ways in which you can use the knowledge, it is all up to you after mastering the stitch.